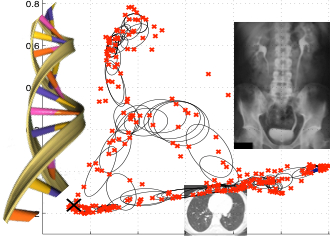 The 1st ICML workshop on Machine Learning meets Medical Imaging will be held on 11th July 2015 in Lille, in conjunction with the International Conference on Machine Learning. This workshop will present original methods and applications on Machine Learning in Medical Imaging. Developments in machine learning have opened up a wealth of novel opportunities in knowledge discovery, analysis, visualisation and reconstruction of medical image datasets. However, medical images also pose several particular challenges for standard approaches, for instance, lack of data availability (due to ethics or rarity of pathology), poor image quality (due to imaging or medical condition) or dedicated training requirements. This workshop offers a unique opportunity to present and discuss their latest work on Machine Learning in Medical Imaging in the presence of both machine learning and medical imaging communities. Innovative contributions will address questions such as how to better exploit smaller datasets, and understand fundamentals on image spaces or on generative models in order to improve training of machine learning methods. The workshop will focus on theoretical aspects as well as on effective applications built on machine learning and all aspects of medical imaging. In addition, a representative from NVIDIA will be giving a talk on the "NVIDIA GPU platform for deep learning". Congratulations to Jonathan Young, for his paper "Improving MRI brain image classification with anatomical regional kernels"
Learning representations from functional brain images. Applying pattern recognition to anatomical scans. The workshop will be held on Saturday 11th July in the Lille Grand Palais, in the room Jeanne de Flandre 2, in conjunction with the International Conference on Machine Learning 2015. Further information on registration and accommodation can be found on the ICML 2015 website. We are pleased to announce that LNCS will be accepting camera-ready versions of up to 14 pages. That means plenty of space to improve your manuscripts, enrich your discussions with comments from the conference, reviewers, improve your figures with extra clarity. Accepted papers will be published as post-proceedings in LNCS format, (Latex package here), in an LNCS Springer volume. The best paper (judged on the day) will be awarded with an NVIDIA GPU. Please submit your paper using the following link: https://cmt.research.microsoft.com/MEDIM2015/Default.aspx.